I’ll bet you could use a super-fun night! I know I sure could. But when you’re livin' the “mom life,” a typical fun night means either splurging for a babysitter (a rare expense) or plopping down with the fam, ordering a pizza and watching a movie. Hey, there’s NOTHING wrong with movie night. In fact, we LOVE movie night at our house. Movies, videogames—all great ways to unwind and chill out together. It’s easy entertainment. Sometimes though, it’s great to get a little bit MORE out of your at-home family fun nights! I don’t like to rely on TV as a babysitter (and you probably don’t, either). I mean, a mama’s gotta do what a mama’s gotta do sometimes, but watching endless episodes of Paw Patrol or whatever Disney Junior show your kids are addicted to can be…mind-numbing at best. 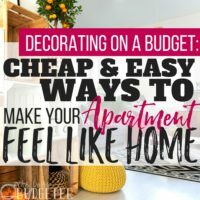 That's why it's SO GREAT to have some family fun night ideas you can all do together…and on the CHEAP! Whether it’s taking on an adventure or just bonding together over an activity, family fun night doesn’t need to cost a thing AND it doesn’t need to be complicated or a huge deal to plan and carry out. 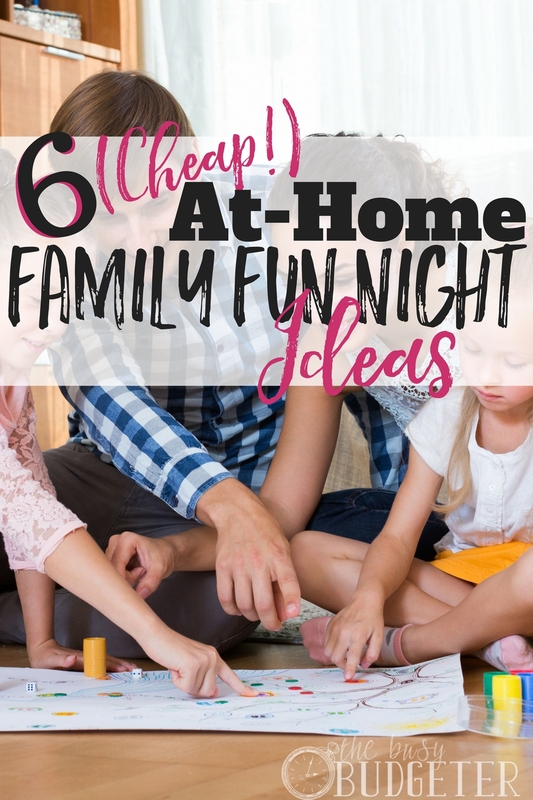 Check out some of these at-home family fun night ideas next time you're looking for an awesome night in with the fam. -The activities: Board games, cards, trivia, you name it! Holding a family “gamer con” in your living room can be super awesome! It’s simple, and most of us already have a collection of board games we never play. Try classics like Uno and Sorry—they're fun for even the youngest players (and surprisingly still super-fun for adults, too)! Simply set up a table in your living room or just play on the floor. If you want to make it feel like a REALLY special family game night, put out a blanket and enjoy your meal as an indoor picnic. With nice weather, you can also take the games out on the porch or patio to be enjoyed as well. Take a quick break from gaming to toss together addictive ham & cheese sliders with honey mustard dipping sauce. (So yum, you guys.) You can enjoy them with some healthy snacks (right from your living room snack station, if you have one—or just bring in some portable snacks to munch on for gaming energy)! Kids love Legos, blocks and building. They even have super-cool adult Lego sets where you can build architectural reproductions of famous landmarks and buildings. Try building a project together or letting each family member tackle their own and compare what you come up with. If your family isn't so into Legos, you could try building something else, like a dollhouse or a scale model together. Model kits are really fun and not limited to just cars and airplanes—you can find models from your favorite TV shows, movies, and more! If the kids are younger and you don't want to spend ANY money on extra Legos or models (and I get that, because who does?? ), pick your favorite family movie scene and create a shoebox diorama from items around the house! Big family? Split into teams and see who can create the coolest diorama! Put on some music and spend the afternoon or evening seeing where your imagination takes you! Whipping up some brownies in a mug (eaten with a spoon) keeps hand relatively unsticky and will keep the bricks clean and goo-free. Plus, they only take three minutes, but they feel like a really special treat. Add a little ice cream if you really want to go all out! -The scene: Turn the kitchen or dining room into an art studio! Those date-night art studios are all the rage these days. (You know, where you drink wine and sculpt or paint?) Well, kids love paint-your-own pottery and craft studios, too. But there’s no reason to pay those crazy prices! You can enjoy a fun family night getting creative right at home. Spread out the biggest paper you can find and draw a huge mural together. Paint some flowerpots, picture frames, or another gift item to give. Try sculpting with Play-Doh or clay. If your kids love painting pottery, try painting small pieces of wood or use paint to decorate boxes and other items. Art just feels like it deserves a sweet treat. Serve easy doughnuts and hot chocolate. You don’t have to have a family of athletes to have fun trying out different physical challenges and contests. They can be silly things like passing an orange to each other without using your hands or relay races. Try doing an egg or water balloon toss or seeing who can do something silly while blindfolded. Create challenges everyone can have a chance to be successful at, even if you’re not super-coordinated. Bike around the block. Run around the block or skateboard. You can jump rope, or even teach the kids foursquare, hopscotch, or other fun playground games. The neighbors might think you’re crazy, but you’ll have a BLAST. Serve your little athletes some protein with these easy 15 Minute Sloppy Joes enjoyed outside in the “Olympic Food Garden.” Add carrot sticks and dive into some dip. Serve Gatorade or sports drinks to keep everyone’s hydration levels steady. Wear red white and blue, of course! Go U.S.A! Want to get your kiddos really into reading? Set up a tent in the living room or backyard, complete with blankets, sleeping bags, and comfy pillows. Everyone dons their jammies or lounge-clothes and chills out together reading. Read stories to each other or do some independent reading. Older kids can build their skills by reading to a younger sibling. Younger kids can even read to a stuffed animal or pet. Mom and Dad can read a few stories aloud, or you can find a chapter book on CD at the library and have the kids follow along. Enjoy buffalo chicken bagels to munch on while you read (or in between stories might be best). Either way, they're easy to prepare and super yummy. Offer up some chips or veggies on the side and enjoy them camp-style—on the floor or on a blanket on the ground. With the casual atmosphere, you might just make storytime camping a regular activity! Even if your family sings off-key or isn’t so “theatrical,” you can still have tons of fun by presenting a family variety show. Kids love to show off their talents and be the center of everyone’s attention. 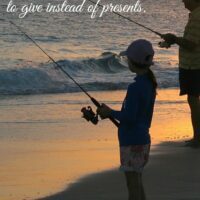 Let them choose an activity, plan it out, and then show it off for the rest of the family. When it’s Mom and Dad’s turn, try something surprising—do your kids know you can twirl a baton or do cartwheels? Can Dad play Pink Floyd on the guitar? I guarantee your kids will be super impressed no matter what “talent” you come up with. The great thing about performing in front of kids is that there’s no reason to be embarrassed. They don’t mind if you’re a little out of tune or if you stumble along. Try a silly talent that will get a laugh or teach everyone to do something (like juggle). Serve easy taco bowls for dinner. They're a real crowd-pleaser and you'll all have something yummy and filling to chow on while you enjoy the performances! 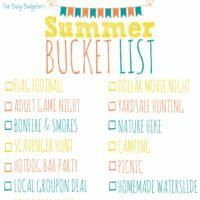 Family fun night ideas don't have to be expensive or stressful. In fact, sometimes the simple activities are the most fun, especially for kids. Really, when it comes down to it, kids just love spending time with their family and having their parents focus on them. No matter what you decide to do: have a BLAST and don’t be afraid to be a little (or a LOT) silly! Is it bad that I’m more focused on the food aspect of the evening? Between the buffalo chicken bagels and taco bowls, I can’t decide. Both it is! These are great tips. I definitely want to camp out with my young son this summer — either indoors or in the backyard. He’ll love it. As a reading teaching, I am especially excited about the Read-a-thon in a tent. I may have to do that this summer! Our family also enjoys sitting on the porch in the evenings, drinking some lemonade (or wine for the adults), and listening to an audiobook together. Pure bliss! 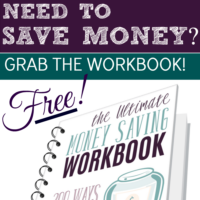 Some of the best moments in life… And they’re free! I love the epic building competition idea. And NOT just because I want to eat brownies…. :) Thanks for this list! One fun thing our family has done is a cook-off and each parent gets a child and we cook something easy based on what we have at home. It’s never clean with kids in the kitchen, but it’s fun! These are great ideas! I love how you incorporate different kinds of food into each activity to make it more fun and delicious. Thanks for sharing! What a fun idea to post activities matched with foods! We love to turn on some background music (via Pandora) and play a game of Monopoly or poker (yep, teach ’em early!). We’ve also broken out the chess board and the Uno cards (among other games – those are our go-tos). A completely different activity that we do is to pull out the drawing pads and a picture to study. Then try to draw that image. I tend to feel a little frustrated with it (art isn’t my strong point); however, my husband and my kids love doing this! Heather @ Made In A Pinch recently posted…Baked Oatmeal – hearty, delicious and gluten-free! We also do the same family night game ideas and what we love the most is monopoly. It helps my kids de-stress away their problems at their school and spend quality time with the family. Anyways, thanks for sharing this with us!